Pure euphoria. My favorite album of all-time. Nice eclectic list. Care to divulge on your choices? 1. Act of Free Choice - David Bridie (2000): Perfectly crafted. Atmospheric, sparse but never boring. 4. The Lamb Lies Down on Broadway - Genesis (1974): Confusing concept, myriad lyrics and endless musical twists make this an ever compelling listen. 5. Terria - Devin Townsend Band (2001): How he can pull of being so gentle and violent in one album always amazes me. 6. The Color and the Shape - Foo Fighters (1996): absolutely late / post grunge songwriting. Still exiciting to listen to. 7. Us - Peter Gabriel (1992): loved the warmth of the sound, the honesty in the lyrics. 10. Sunset Studies (2000) - Augie March: long pastoral war epics meet all manner of instrumentation. 17. Foxtrot (1972) - Genesis: It's got "Supper's Ready" on it... need I say more??! 19. Live at the National Theatre (1998) - My Friend the Chocolate Cake: a great compendium of all their best stuff, sounds even better live. 20. Mellon Collie and the Infinite Sadness - The Smashing Pumpkins (1995): Epic and amazing. Last edited by scottsy; 01-01-2009 at 09:58 PM. "Hi could I use you guy's is phone for a sec"
I think a subforum for it would work better. 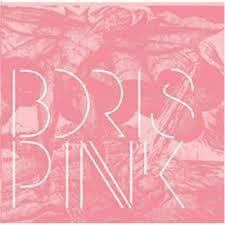 My only question (unless i missed it) is where is the Pink album by Boris. Talk about a solid album!